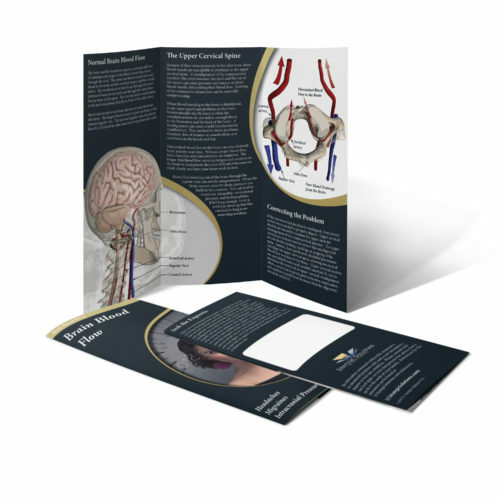 Trifold brochure with a sharp design, premium quality and high resolution colorful graphics depicting the effects of the craniocervical junction misalignment. 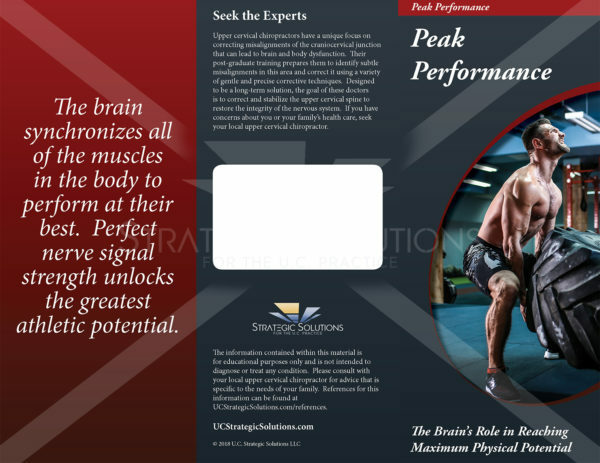 Instead of focusing on the symptoms, this brochure focuses on building the links between a mechanical misalignment and its physiological effects on the brain and body. 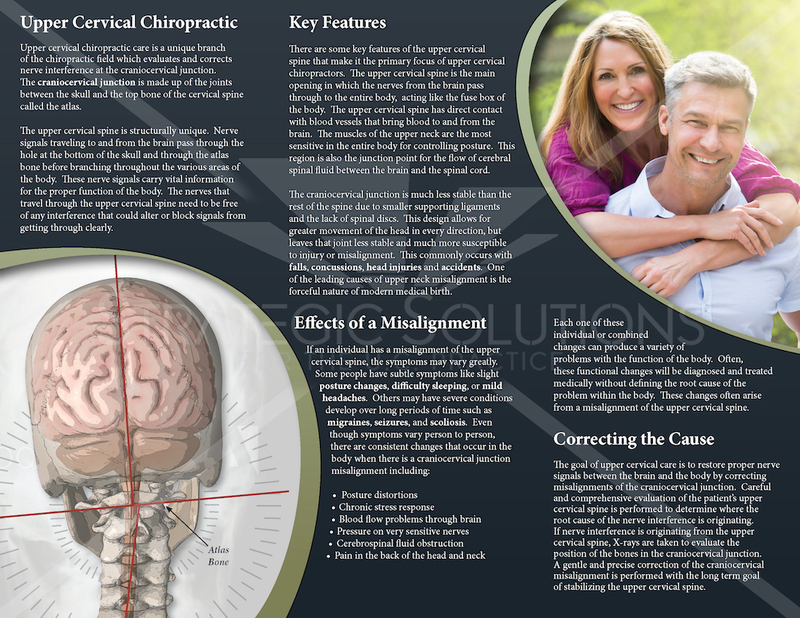 A patient-oriented brochure focused on explaining the various effects of the upper cervical misalignment on the body. 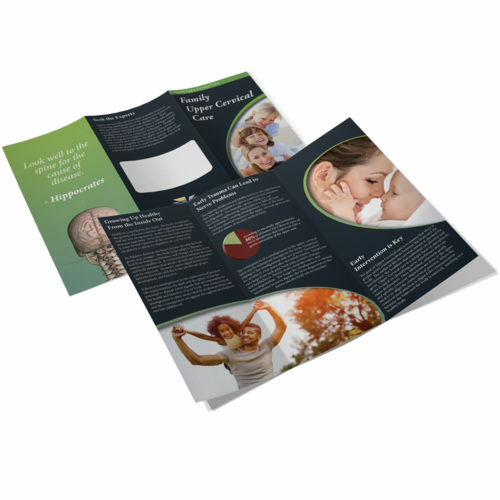 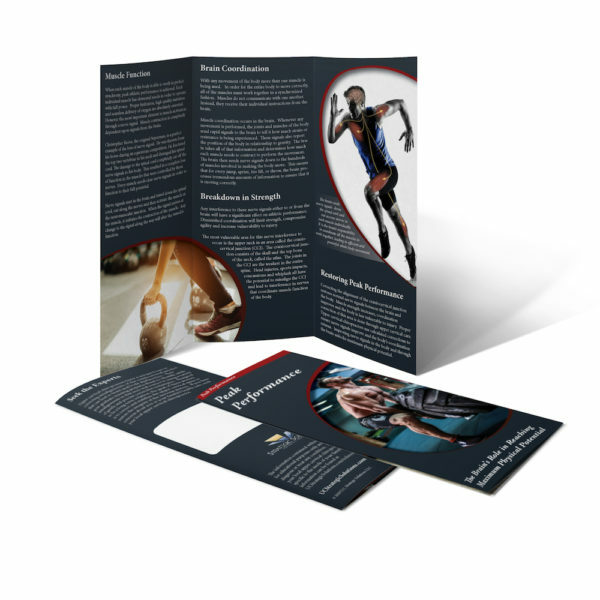 This brochure is tailored to build the cause and effect relationship of the misalignment on the physiology of the body which results in the symptoms that a patient would experience. 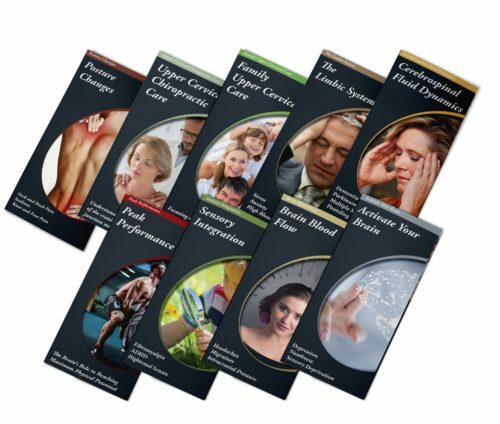 There is a big emphasis on focusing on the root cause of the problems, not just the symptoms. 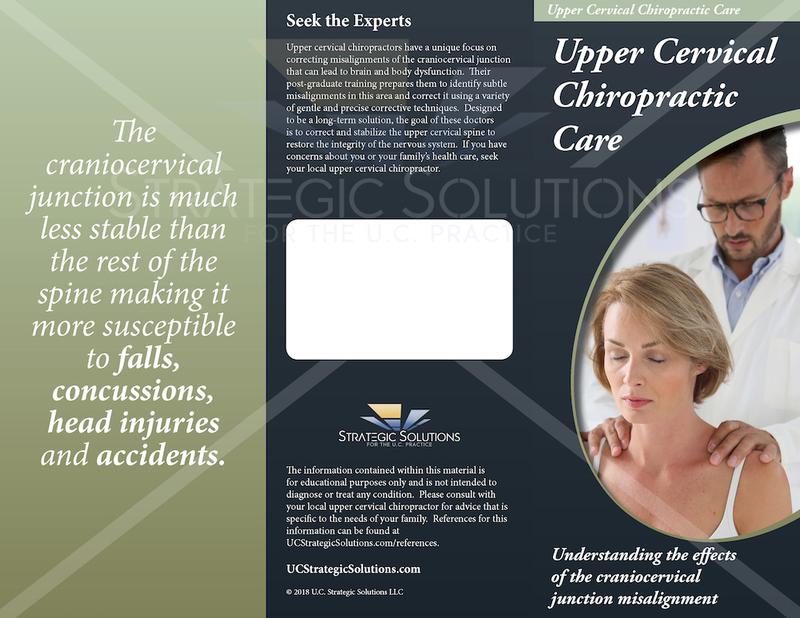 “Upper cervical chiropractic care is a unique branch of the chiropractic field which evaluates and corrects nerve interference at the craniocervical junction. 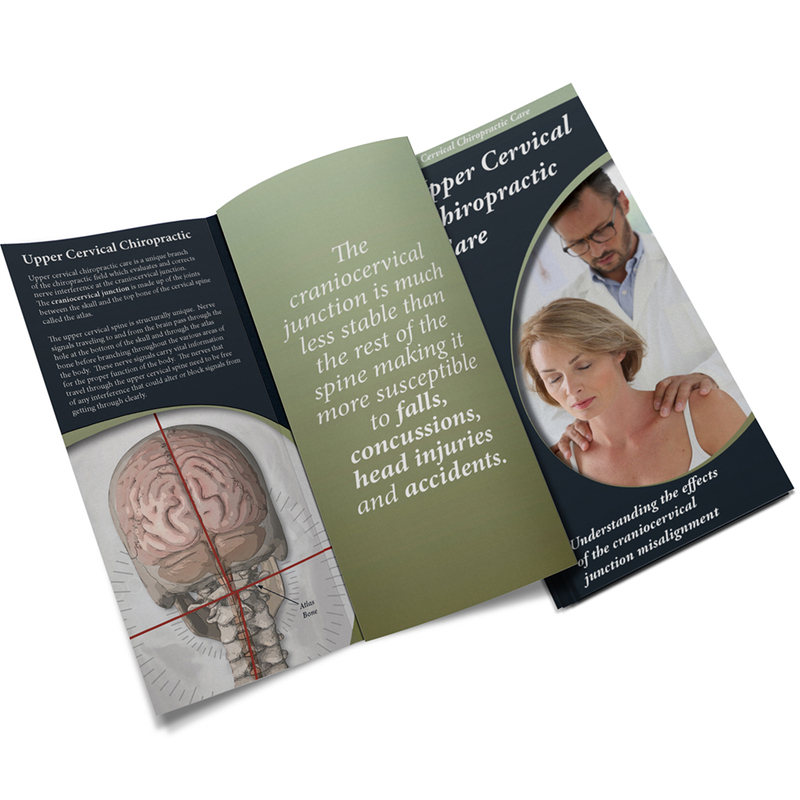 The craniocervical junction is made up of the joints between the skull and the top bone of the cervical spine called the atlas.